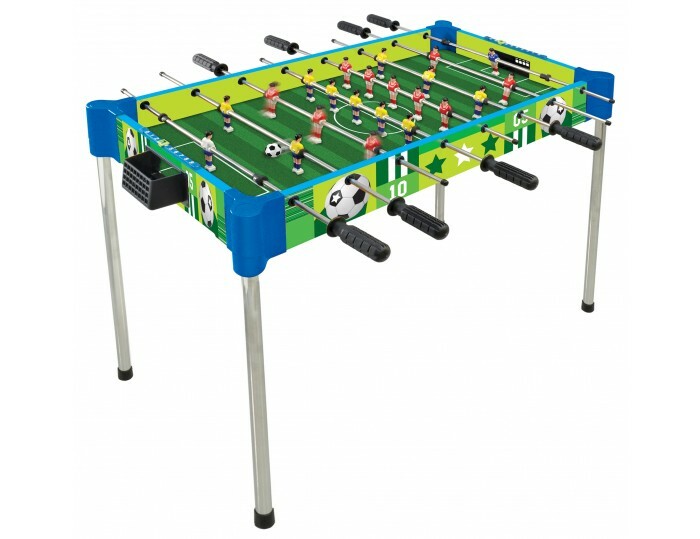 Enjoy a fast-paced game of football with this classic table. 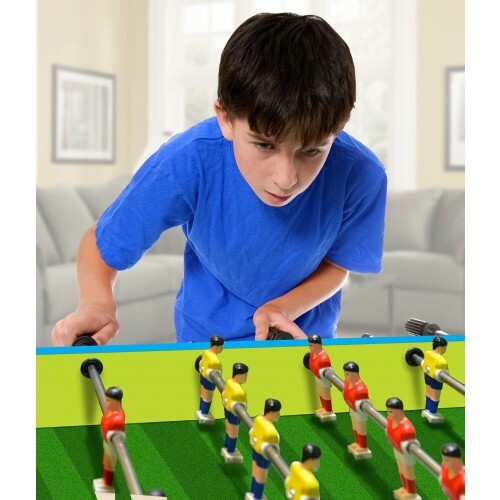 Table or Tabletop playing mode: quickly remove the legs to allow for use as a tabletop game. The game offers all the thrills of a traditional football table including pull shots, rollovers, and pull kicks! 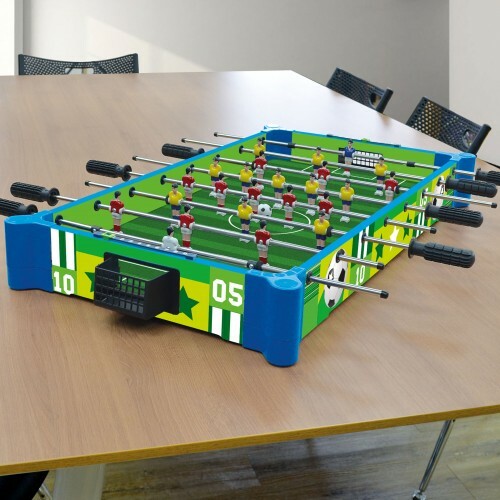 No screws or tools needed! Simple assembly - takes under 5 minutes! Quick & compact storage - quickly pull out the legs and store it anywhere. 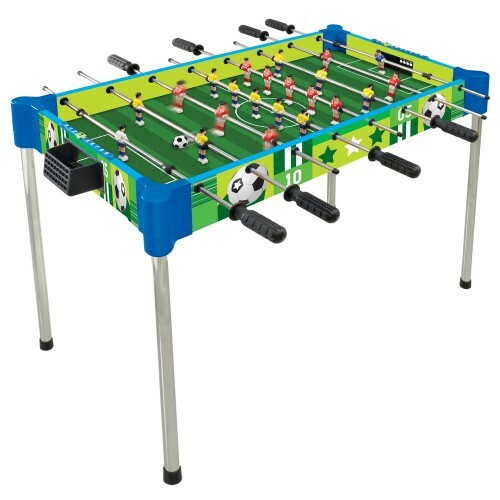 Strong steel legs and solid plastic corner joints make it very stable for kids to use; no screws or nails are used to hold the table together, so it is also very safe for kids.